This is my favourite Summer salad this season. I have my usual favourites but this year this one tops them. It’s got to be all the fresh and in-season ingredients in it. 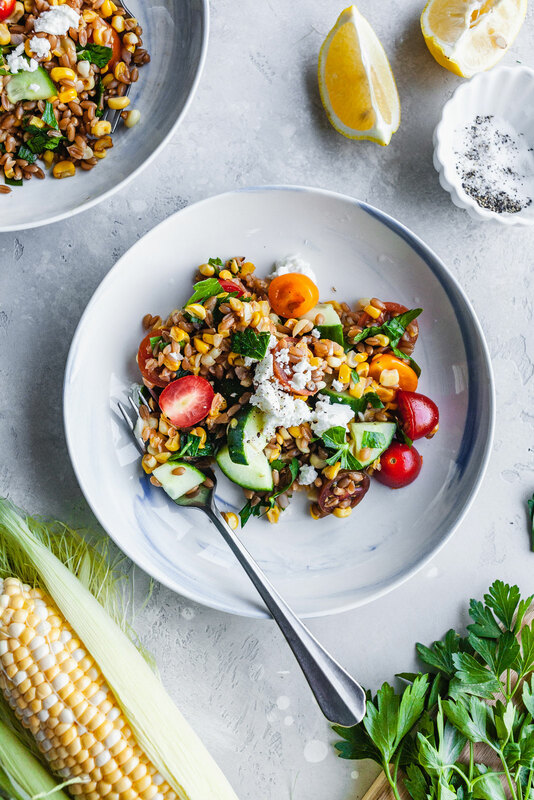 The fresh corn slightly charred in a skillet brings sweetness and the farro brings all sorts of chewy textures. 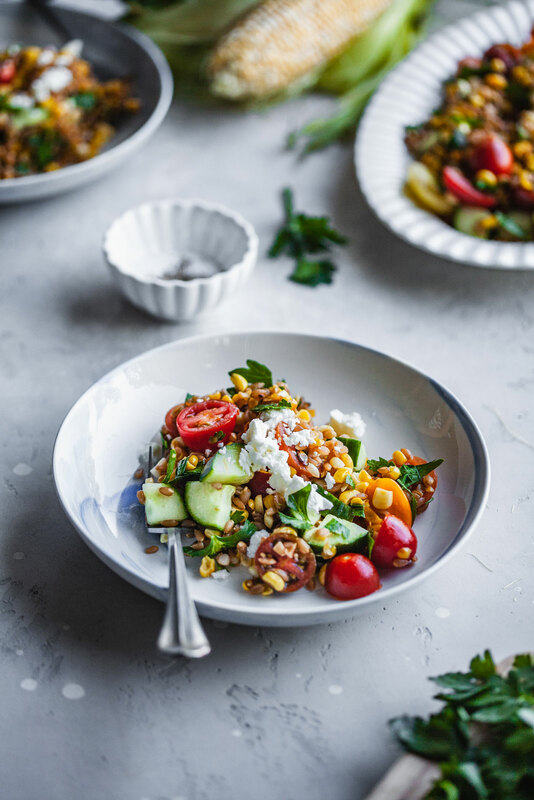 Then we have the sweet corn and plum tomatoes and a little crunch from the cucumbers. 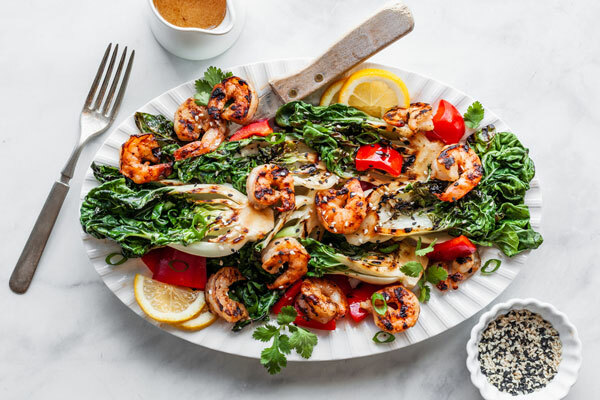 The dressing is oh so easy to prepare with just a simple lemon and olive oil vinaigrette. You can’t beat the simplicity of it and you can never go wrong with those two ingredients in a vinaigrette. 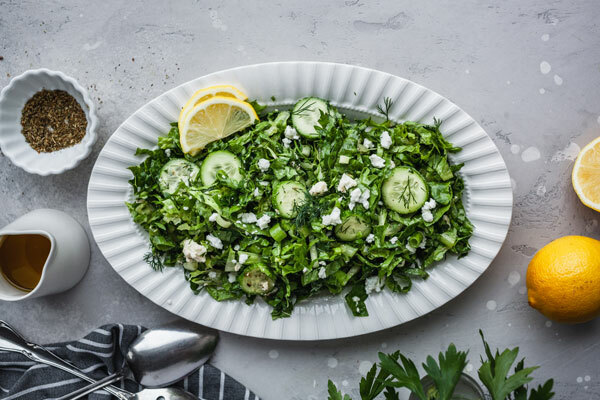 The parsley adds a little green and a punch of fresh Summery flavour to it that ties everything together. What I love about a salad like this is it can double as a meal. I actually did have mine as a meal. I made it for lunch for my whole family and it was filling and totally loved by all. I also love that it doesn’t get soggy quickly and is easy to put together. 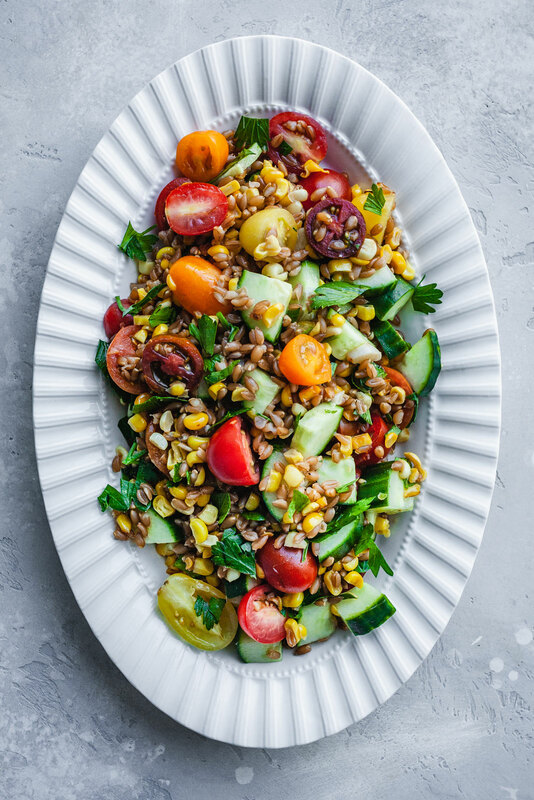 You can make the farro ahead of time and keep it refrigerated and then when you are ready to put it together it will be ready for you. It’s a great one for a potluck or a BBQ because it holds up very well and is definitely a crowd pleaser. 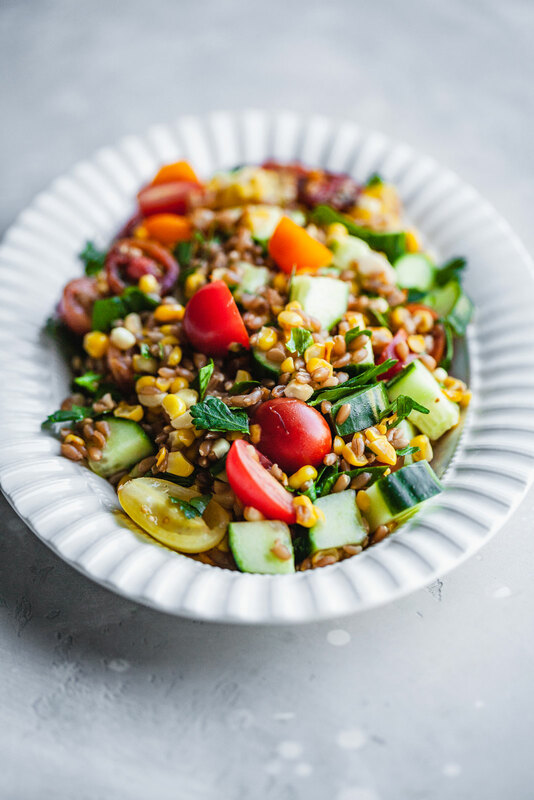 Farro is a very well loved grain in our home but it isn’t gluten free so another option if you wanted to use a different grain would be quinoa or brown rice. 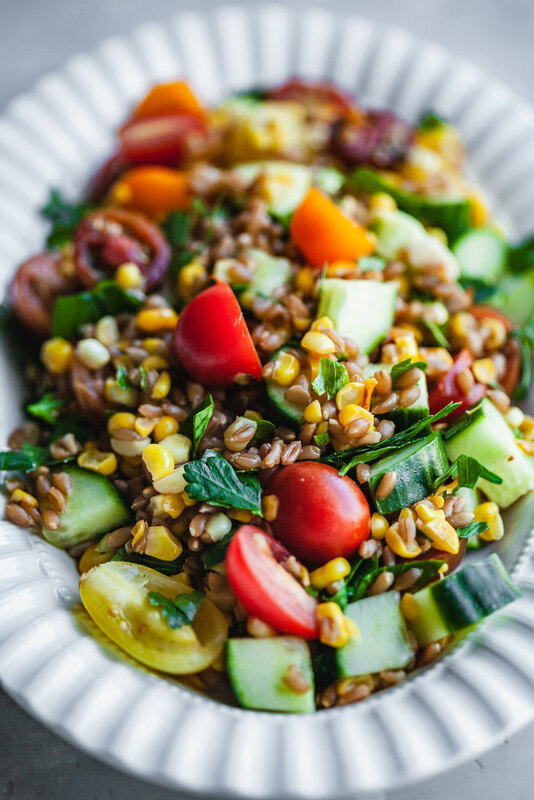 You can even make this with pasta – GF or otherwise, making it into a pasta salad instead. It really depends on what type of grain you like. 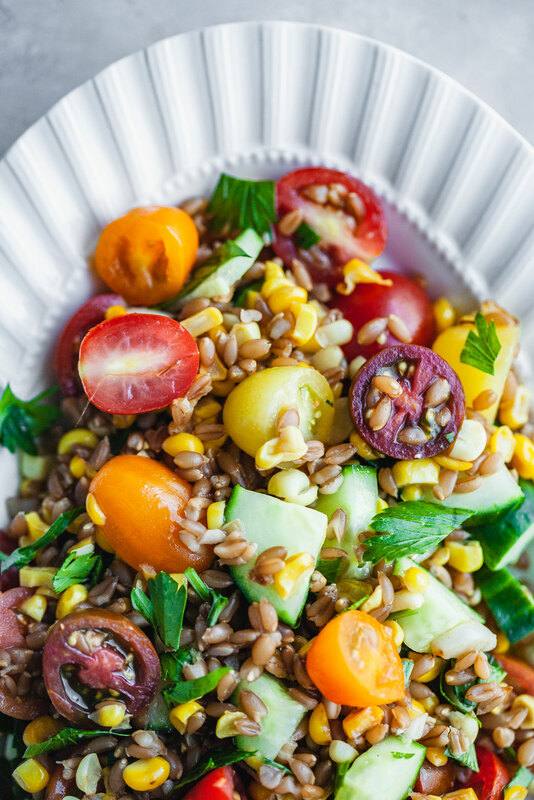 The combo of the veggies in this salad along with that delicious dressing will go well with whatever choice you make when it comes to grains. 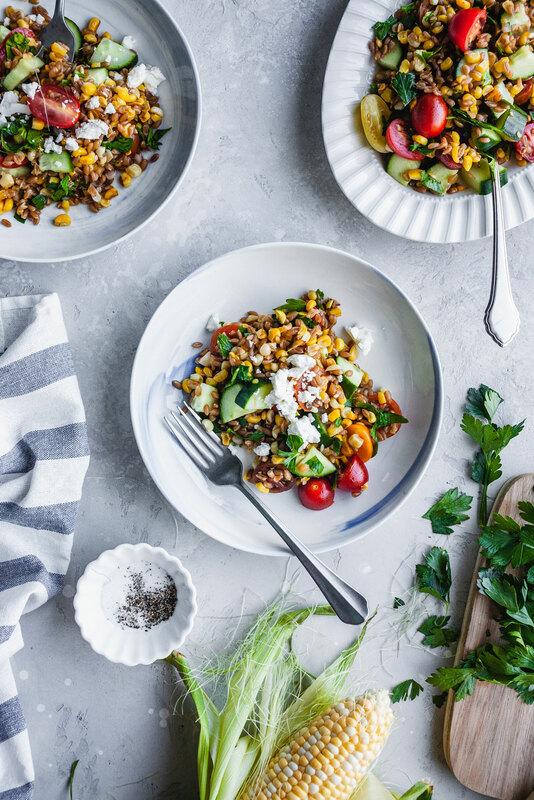 We made this at the height of tomato and corn season and we couldn’t get enough of it. 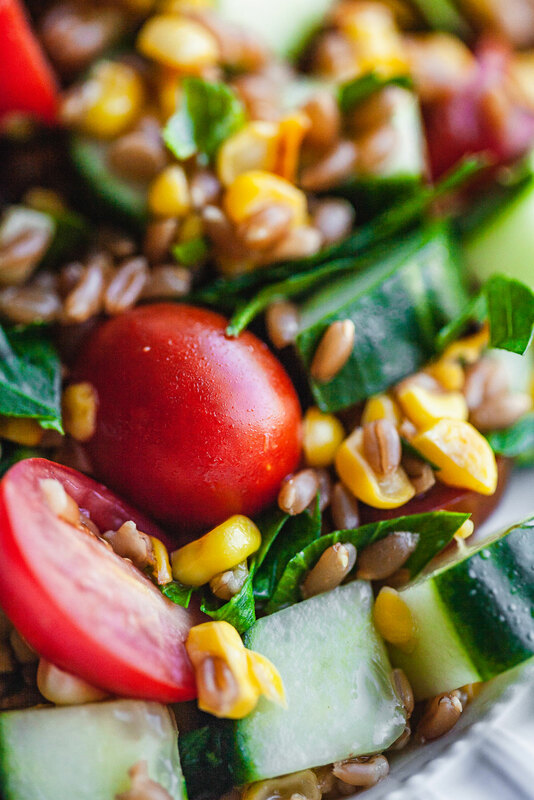 The fresh and delicious flavours really are the best part of Summer. 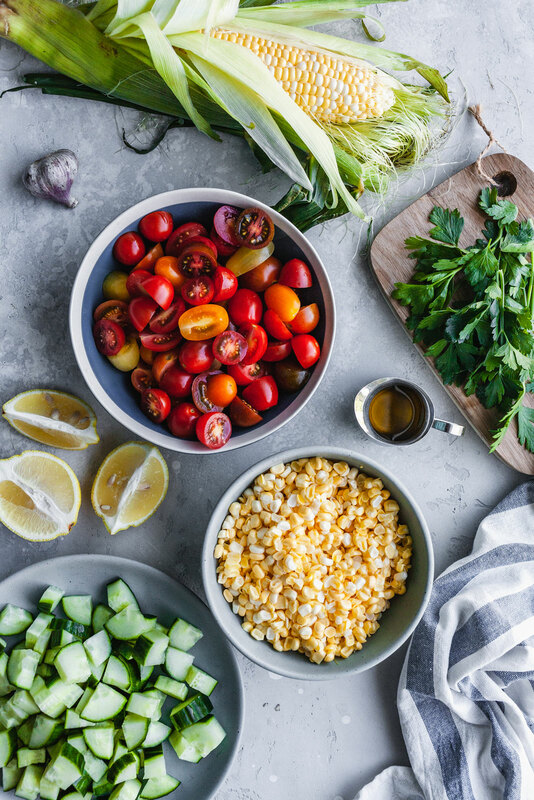 Hope you get to make it and enjoy what Summer has to offer in the way of tomatoes and sweet sweet corn. Enjoy! 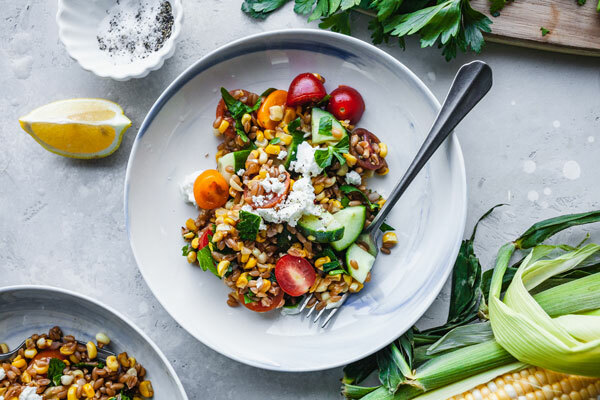 In a medium saucepan combine 1 cup of farro with 4 cups of water and boil for 45-60 minutes, or until tender but firm. Check often to make sure you don’t need to add anymore water. Once done remove from heat, drain if needed and transfer to a large bowl. 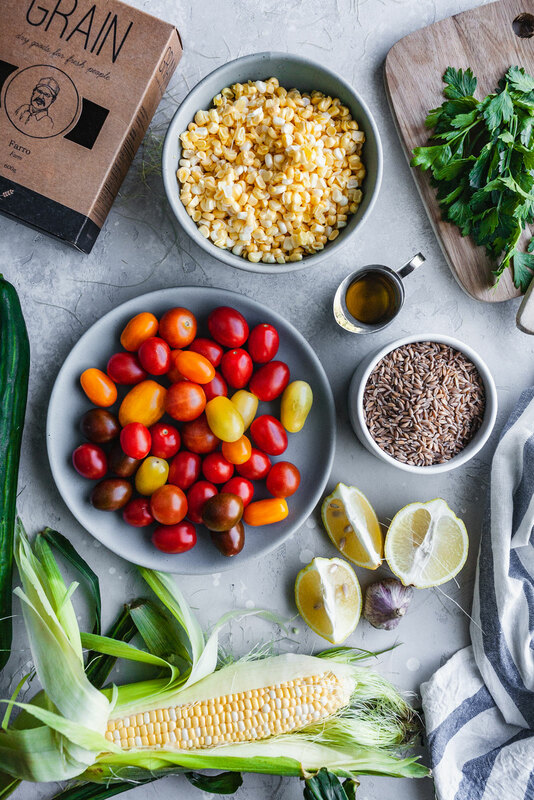 While the farro is boiling and almost finished cooking, heat olive oil in a large skillet and add the corn and garlic and cook over high heat, stirring occasionally until the corn starts to get charred edges, approx 5 minutes. 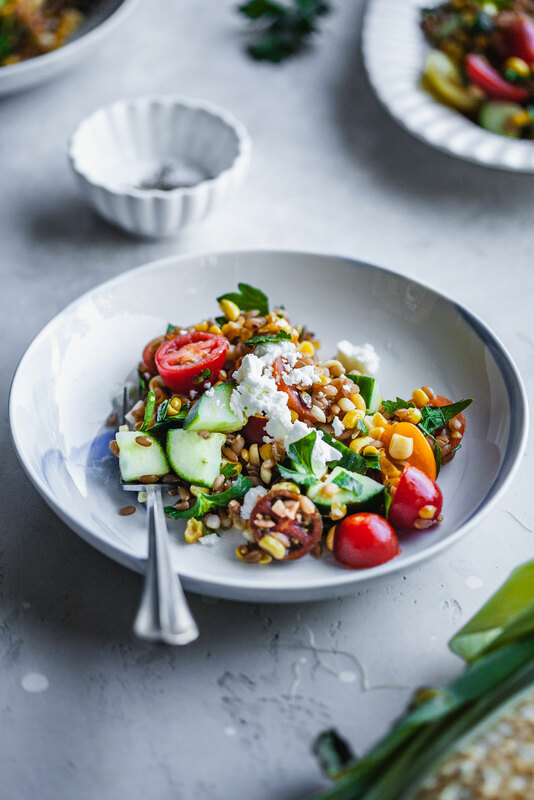 Scrape the corn in to the bowl with the farro. Add the tomatoes, cucumber, parsley and lemon juice and toss gently to combine. 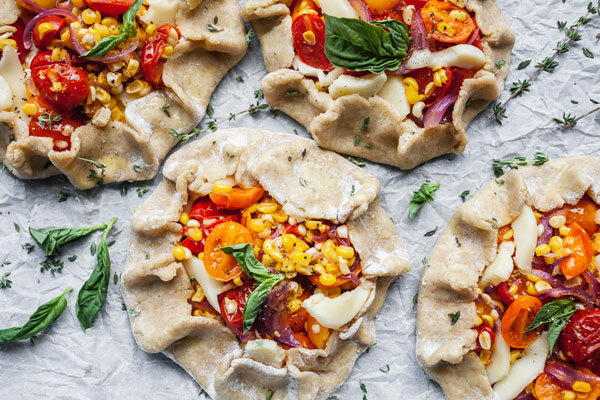 Season to taste with salt and pepper and serve with crumbled feta. Store any leftovers covered In the refrigerator.